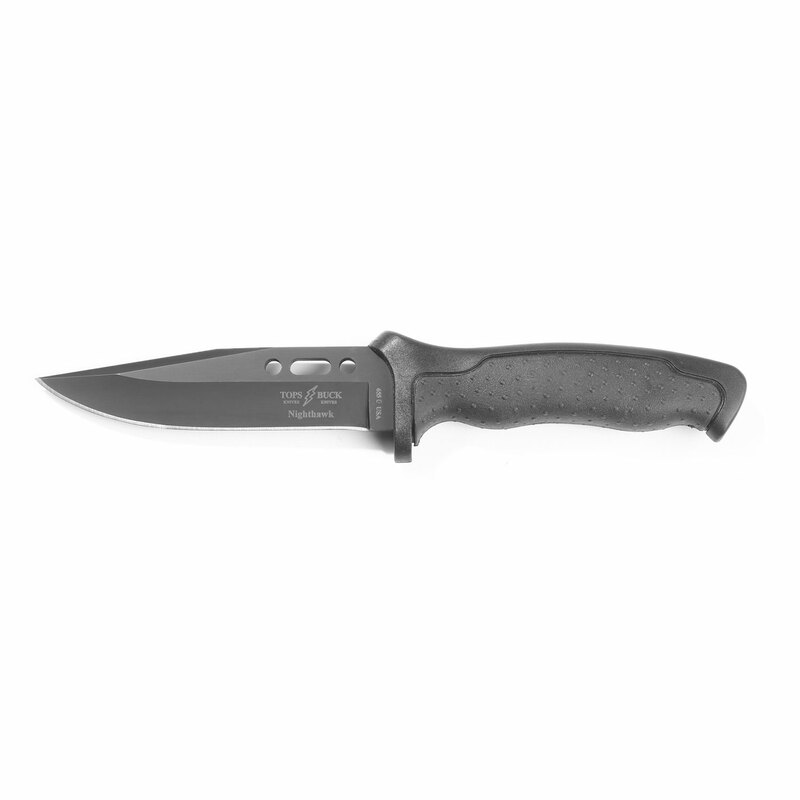 Buck’s TOPS® Short Nighthawk® is a rugged and reliable field knife packed with tactical features. The versatile, modified clip point blade features built-in field utility slots for oxygen bottle adjusting, wire bending or other tasks. Treated with a non-reflective black oxide finish for low visibility and corrosion resistance. 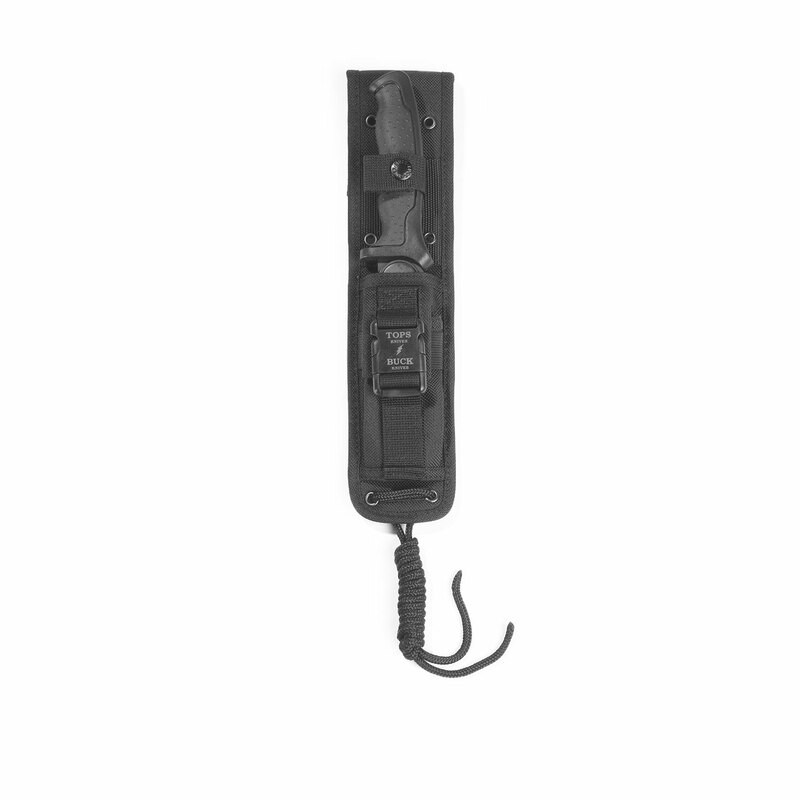 The slip-resistant, molded nylon handle features a rubberized Dynaflex grip for secure retention. Deep finger groove guard and thumb ramp for ultimate control and safety. 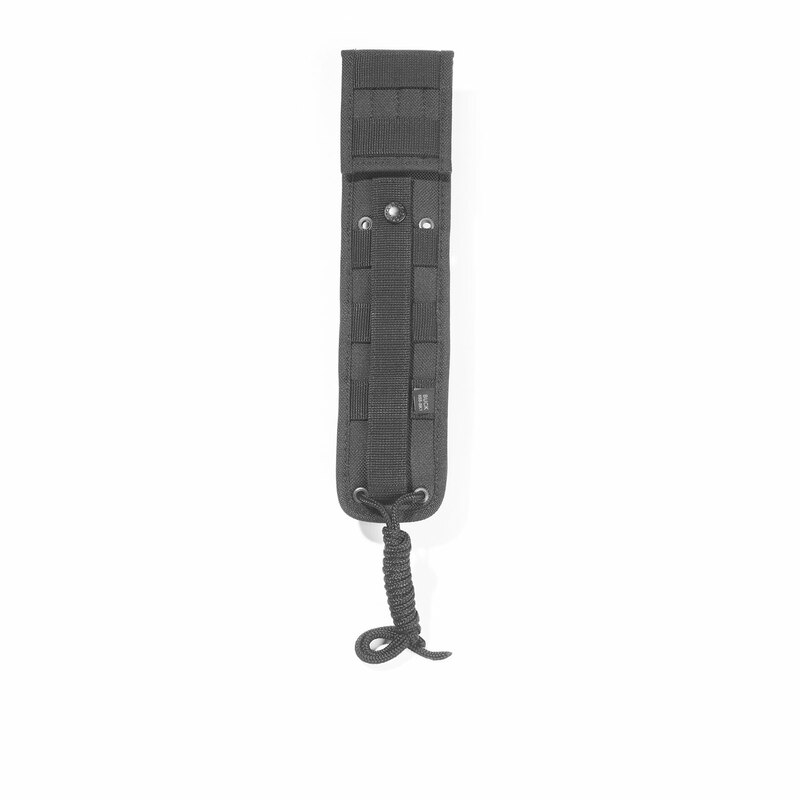 Includes a heavy-duty, M.O.L.L.E compatible nylon sheath. The 420HC steel blade approaches the wear resistance of high carbon alloys while delivering the corrosion resistance of chromium stainless steels. Buck’s exclusive heat-treat process produces a user-friendly blade that’s easy to re-sharpen, without compromising corrosion resistance, strength and durability.